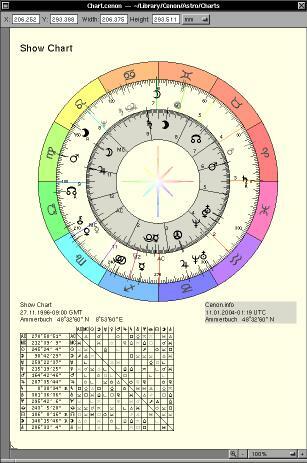 Cenon calculates the well known event and birth charts. The look of the charts can be modified as desired. 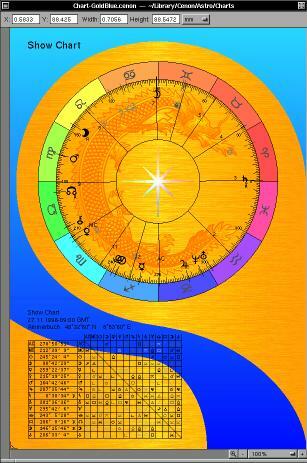 The huge aspect table displayes the unual aspects and the ecliptical mirrors. The exactness of aspects (orb) is displayed in three shades. Cenon is able to display geocentric planetary nodes. 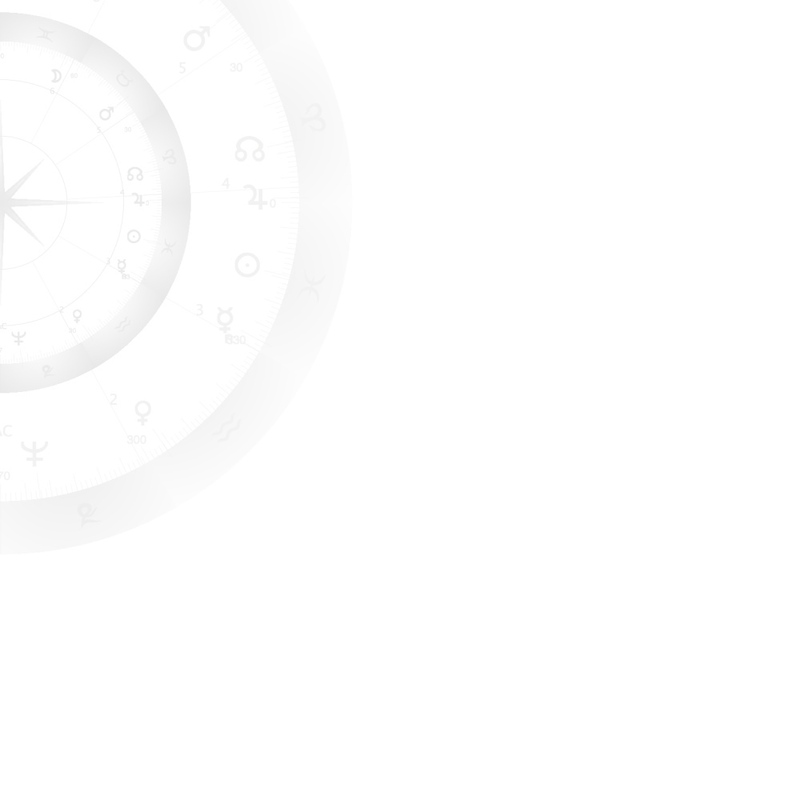 The symbols for the nodes are displayed in gray somewhat inside the of the planets (not enabled in the picture). The planetary nodes are moving very slowly, so mostly all we see is the wobble of the earth axis during the year. 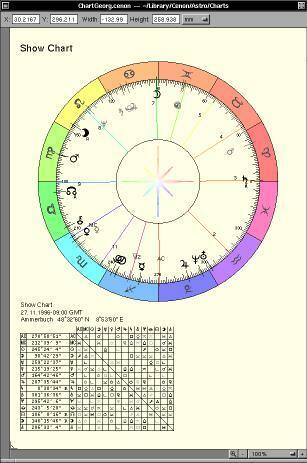 The aspects of planetary nodes give us an idea of the basic quality of a day of the year. Thus, the planetary nodes can be used for precise forcasts. When working with planetary aspects you will realize, that planetary aspects tend to join similar aspects of the planets. This is the law of attraction at work. This very special feature offers a degree scale for the houses. Basically here are displayed 360 houses on the outside of the ecliptical scale. With the help of this scale you can work very exact, for example by using the Sabian Symbols or critical degrees. You can use the scale to calculate rhythmical triggers or use it for birth time correction. In addition to simple charts, Cenon can create composite charts. The second chart will be displayed inside the first chart, allowing the comparison of the two charts. You can either align the Ascendent or the ecliptic for comparison. The chart masks can be modified freely and offer a magnitude of personal freedom. Portrait orientation or landscape, horicontal title or rotated title, angular chart or round, with photo in the background - Cenon does it.